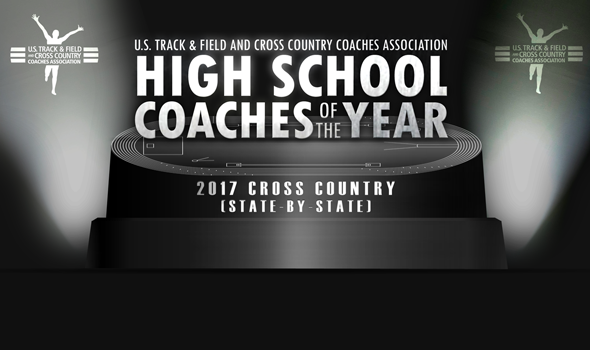 NEW ORLEANS – The U.S. Track & Field and Cross Country Coaches Association (USTFCCCA) announced Thursday the state-by-state winners of its fourth annual High School Coach of the Year award for cross country. One boys coach and one girls coach from each of the 50 states and the District of Columbia – as seen in the lists below – were honored for their successes during the fall of 2017, as selected by a committee of experts from around the nation. State-by-state winners were selected based on their teams’ performances throughout the 2017 cross country season. Among the factors taken into consideration were team score and placement at the state championships, margin of victory, performance against rankings if available, individual championships, and how their teams’ performances stacked up to previous years (e.g. first title in school history, consecutive titles, etc.). The winners from each state are in consideration for the association’s National High School Cross Country Coach of the Year award. One boys coach and one girls coach from among all the states will be selected by a panel of experts and be announced later this month as the national winners. The full lists can be seen below. Which Collegiate Indoor Records Could Fall In 2018?